Stardust tells the story of young Tristran Thorn and his adventures in the land of Faerie. One fateful night, Tristran promises his beloved that he will retrieve a fallen star for her from beyond the Wall that stands between their rural English town (called, appropriately, Wall) and the Faerie realm. No one ever ventures beyond the Wall except to attend an enchanted flea market that is held every nine years (and during which, unbeknownst to him, Tristran was conceived). But Tristran bravely sets out to fetch the fallen star and thus win the hand of his love. The first and foremost reason I enjoyed the book so much is Gaiman’s writing style. 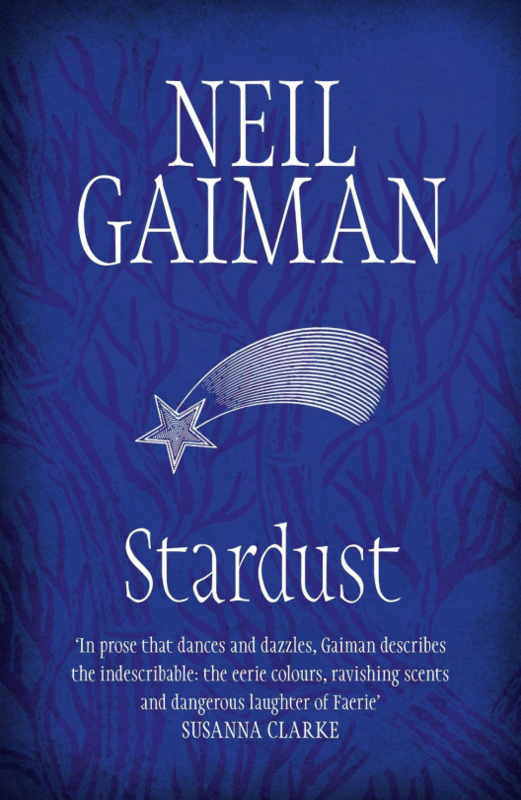 A fairytale for adults, Stardust makes you believe in love and magic again, but you have to be prepared to leave your reality behind in order to truly appreciate the book. It will sweep you away into a land that has an equal measure of light and dark, with memorable characters and a setting that will capture your imagination. Please note that this book is definitely not for children as it is gory in certain places. I would recommend this book to grown-ups who still have a little child in a sheltered corner of their heart, who’d like to step out of reality and experience the thrill of magic. For the music, I was reminded of Fireflies by Owl City. You could listen to any music that reminds you of magic.